Can God Do The Impossible? Is there really nothing that is impossible for God? Should we really have hope that He could step in? Karlton shares. “Jesus looked at them and said, ‘With man this is impossible, but not with God; all things are possible with God'” (Mark 10:27). 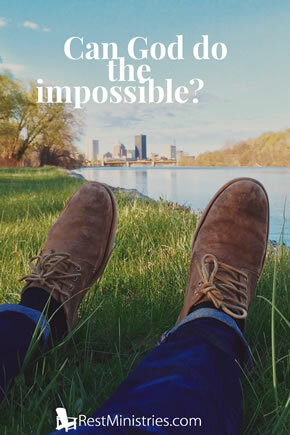 The State of Ohio has the motto: “With God All Things Are Possible.” Some wise people in our state government decided upon that motto on October 1, 1959. I have found that statement from scripture, made by our Lord Himself, to be very true. Almost five years ago I was wheeled into a hospital operating room. I looked like someone who had been removed from a concentration camp–pale, weak, anemic, malnourished (having lost ninety pounds of weight). Crohn’s disease had whittled me down to nothing. The surgeon asked if he could pray with me before the procedure. I agreed. Indeed, I had already prayed and had discussed my concerns with the doctor that I was too weak to survive the surgery, but the surgeon was concerned I would grow even weaker if we waited longer for the procedure. “With God”–only with God was it possible–that is my testimony. Only with God could I have survived, endured, and overcome. By His grace I am still alive today. What seems impossible in your life? What is the obstacle that seems beyond reaching, too impossible to survive or achieve? I would remind you of what I have found to be true, with human beings alone something may indeed be impossible, but with God–all things are truly possible. You may be facing the impossible today. Let me remind you that even when facing death, some horrific disease that wastes away your body, that nothing is impossible with God. Whether a physical, mental, or emotional issue– whether finances or circumstances beyond your control– do not count God out of the equation. He can change your impossible circumstances and make things possible again. Prayer: Dear Lord, life gets us down with its many impossible situations, please lift us up, and make a way through our impossible circumstances. Amen. Karlton Douglas lives in Ohio with his lovely wife. He is grateful to be alive, and grateful that his God is Lord of all things possible. Are you in an impossible situation? Why not call upon the ‘God of the Possible’? 10 Responses to Can God Do The Impossible? I really needed these words today, an answer to prayer… I just found RM and feel like I will slowly take in and come to some understandings and revelations about my personal struggles and chronic Illness. Thank you. And welcome to Rest Ministries! Great testimony Karlton – love those “only God” stories! The Lord keeps reminding me of this verse. It is such an encouragement to me, especially now. Thank you for sharing your story. Praise God for the miracles He has done in each of our lives to preserve us! Gd bless you and keep you Karlton. Karlton, thank you for sharing this time in your life when your doctor, despite the great risk to your life went ahead with surgery. 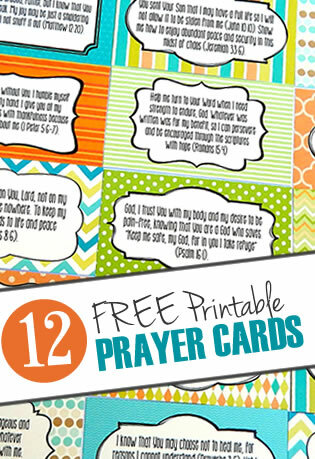 How wonderful that he prayed with you before proceeding. I’m so thankful that God guided your surgeon’s hands and brought you through. What an amazing testimony you have Karlton! 🙂 Thanks soooo much for sharing it with us all.